The Society of Medical Doctors (SMD) has said over 5 700 flood survivors have been treated in camps by the society and other doctors volunteering in districts affected by floods. 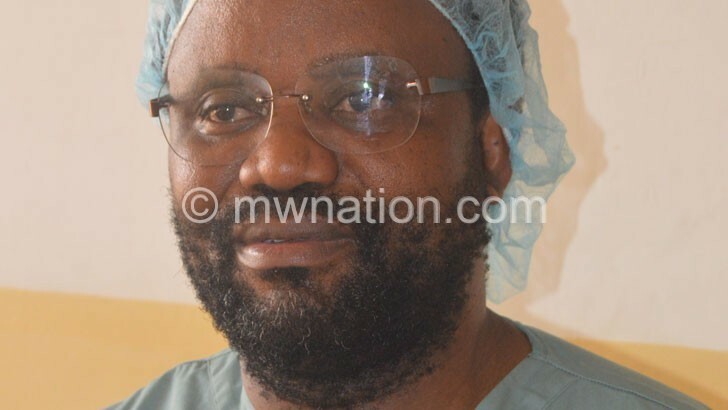 Speaking in an interview on Friday, SMD president Amos Nyaka said out of the 5 700 treated, 650 require surgical follow up treatment, leading the society to consider organising surgical camps in the affected areas. SMD doctors joined the Malawi Defence Force (MDF) and South Africa National Defence Forces (SANDF) team of medical doctors offering medical attention to people in internally displaced camps (IDC) as some medical facilities were completely cut off from easy access following road damages due to floods. Health workers in the few facilities that were still operational after cyclone Idai that occurred last month were strained by the need to attend to many flood survivors. Said Nyaka: “We received written requests from district health offices for drugs and other medical supplies and doctors responded by making personal contributions while others offered their vehicles to travel around. He said the biggest challenge is the dwindling drug supplies coupled with support to keep the doctors in the various camps, adding the doctors can fill in that gap if assisted with accommodation, meals and mobility. Department of Disaster Management Affairs (Dodma) Principal Secretary and commissioner Wilson Moleni commended SMD, MDF and the SANDF doctors for assisting the flood survivors. “The doctors have managed to contain the situation in the camps, preventing outbreaks,” he said. About 868 900 people were affected by the floods in 15 districts; with 86 980 people displaced and 60 people dead. The post ‘Over 5 700 people treated in camps’ appeared first on The Nation Online.